A classic rose flower in rich red. 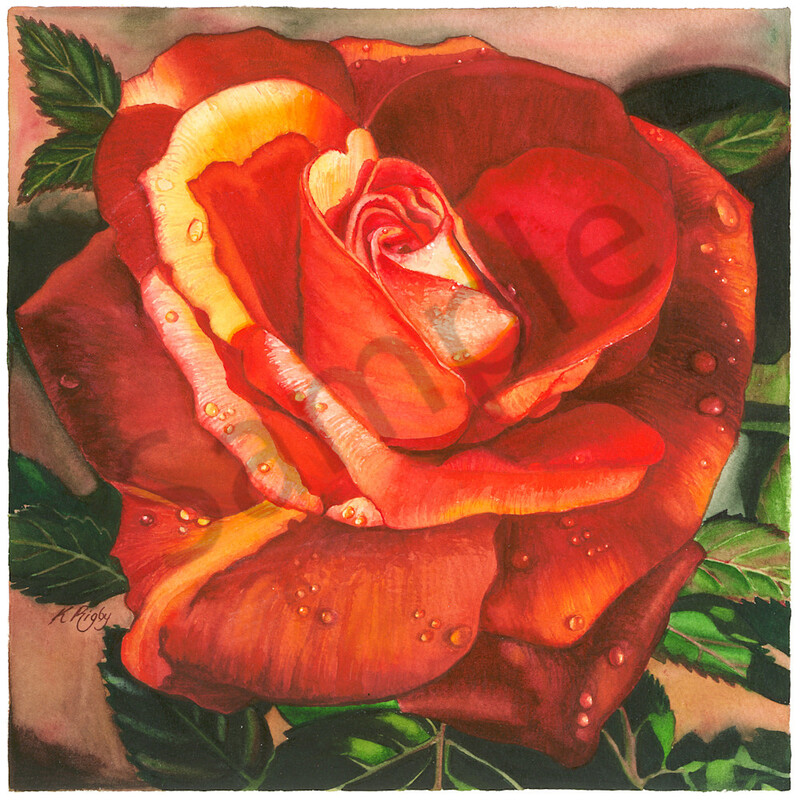 The richness of this red rose which shows a tinge of yellow on some petals is why I completed this painting. It contrasts with the more delicately coloured varieties in my garden.